We are a leading Manufacturer & Supplier of Industrial Grout such as Algigrout NS 200, Free Flow Epoxy Grout, Polyester Free Flow Grout and Cementitious Grout from India. 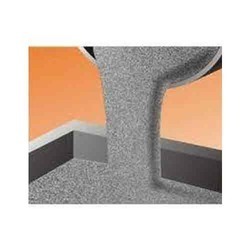 ALGIGROUT NS 200 has very high flow and is self compacting and hence doesn't form honeycombs. It increases life of machines due to reduced vibration and total transfer of load. Reduces installation time to 7 days instead of 28 days. Very high early and final strength. Application Method: Mix with water in the ratio of 0.18 i.e. 9 litre/50 kg ALGIGROUT NS 200 in a concrete mixer & pour and lightly compact.